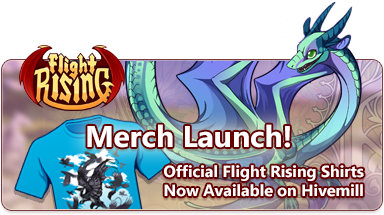 The time is here: our first batch of official Flight Rising merchandise is now available! Head on over to our shop on Hivemill and grab some "IRL apparel" for you or a friend today. 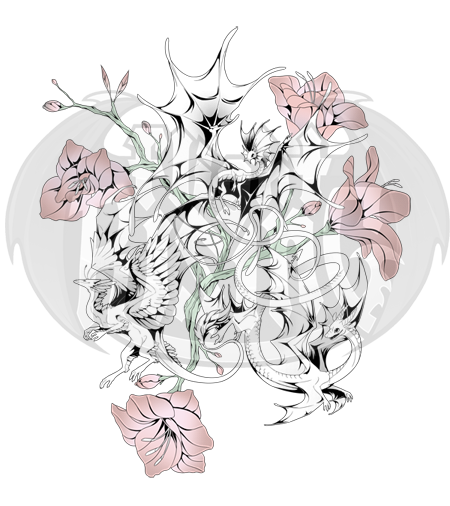 Last year, we announced that we would be teaming up with Hivemill to make Flight Rising merchandise a reality, and that day has finally come! Our first batch of merch consists of several fun t-shirts. 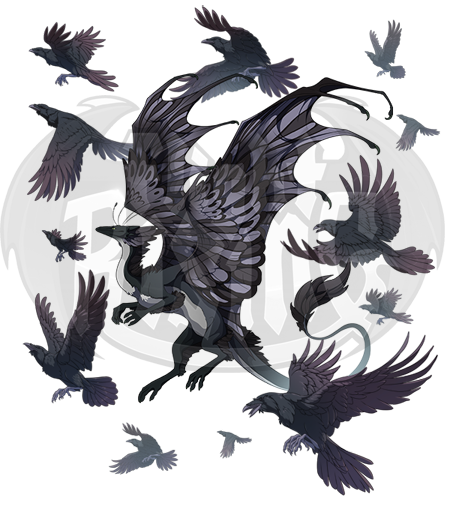 Have you ever wanted to represent some of your favorite dragons and have a great way to break the ice with new prospective Flight Rising friends? Well, we've got quite a few eye-catching designs done in several unique styles. Check out a couple of them below! While our initial launch is just shirts, this is only the beginning. We're excited to start developing merch that will allow you to share the world of Sornieth with others. Look forward to many more goodies in the near future! Reminder: The Frigidfin Expedition ends tomorrow at 06:00 server time. Take advantage of that 50% EXP bonus before it runs out! Reminder: Night of the Nocturne kicks off on Sunday, December 23rd (06:00) and runs until Sunday, January 6th (06:00). Oh wow these designs are lovely! Whoah!! It looks great! Especially that last one with the black! I subscribe to every thread I create; you only need to ping if I'm posting on someone else's thread. I do enjoy notifications though! It's said evil magic can turn dragons into newts. If that's true of this one, it never got better. Hello! I'm FrostiiWolf. Please support the Obsidian Empire today! Will these shirts be available for dragons to wear in a future update? Or is that too meta?